Biona is an advanced and unique nutritional supplement formulation and is based on over 20 years of nature-based scientific research. 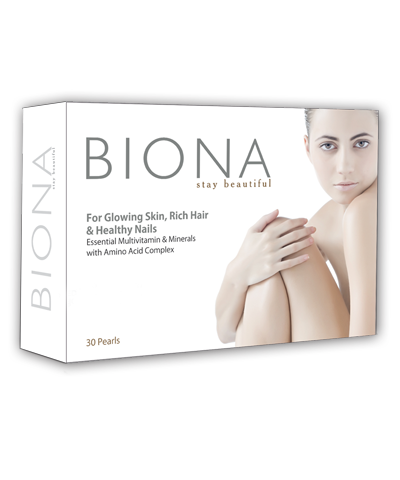 Biona is expected to nourish and protect skin, hair and nails from the inside out. Biona works well as it targets dermis, the layer beneath the skin's surface, which contains essential moisture and suppleness-retaining elements such as collagen and elastin.